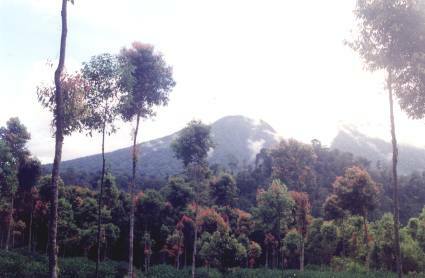 The impressive Kerinci Seblat nature reserve is one of the few places which is still home to the Sumatran tiger. In the Kerinci reserve are two volcanic mountains, the Gunung Tujuh and the highest mountain of Sumatra, the 3805 meter high Kerinci. On the feet of these mountains grow cinnamon trees which give the impression of an Indian summer due to its red color leaves. Both mountains can be climbed with a guide. The highest crater lake on Sumatra is located on the mountain Gunung Tujuh at a height of 1905 meters. 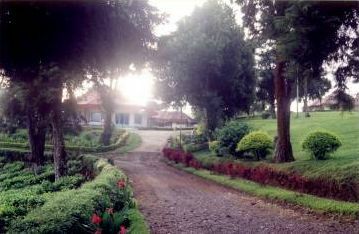 At the foot of the Kerinci mountain are the famous Kayu Aro tea plantations established in 1926, by the Handels Vereeniging Amsterdam or Amsterdam Trading Company. The old plantation houses still breath an atmosphere of the nineteen twenties.